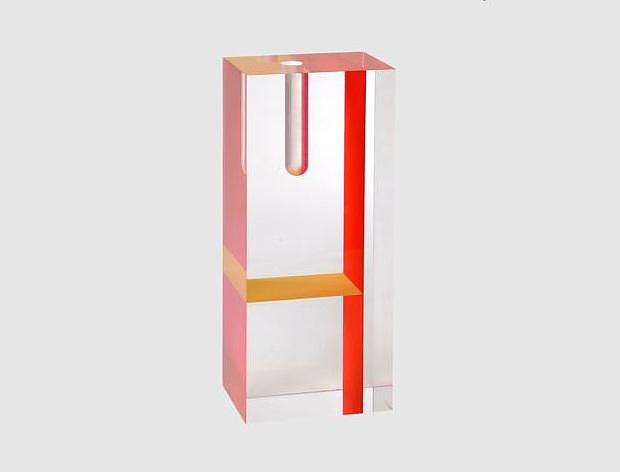 HomeBlogHome DecorProgetto Oggetto Vases by Tomoko Mizu for Cappellini. 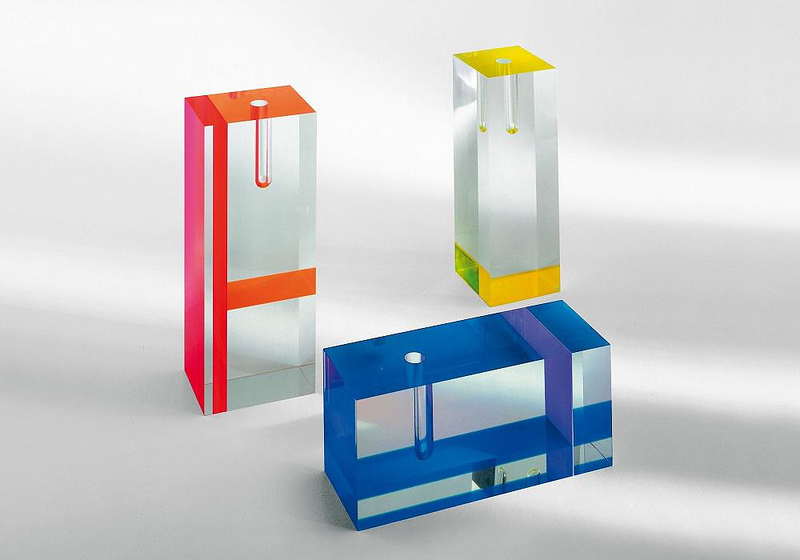 These elegant minimalist vases were designed by Japanese Designer Tomoko Mizu for Italian furniture manufacturer Cappellini and are part of the highly acclaimed Progetto Oggetto collection. The collection was first presented in 1992 and includes many celebrated and timeless pieces. With their compact, minimalist design, these exceptional vases create an interesting contrast between their geometric shape and the grace of the flower they will hold. They are made entirely of plexiglas® and are decorated with inlaid colored stripes. 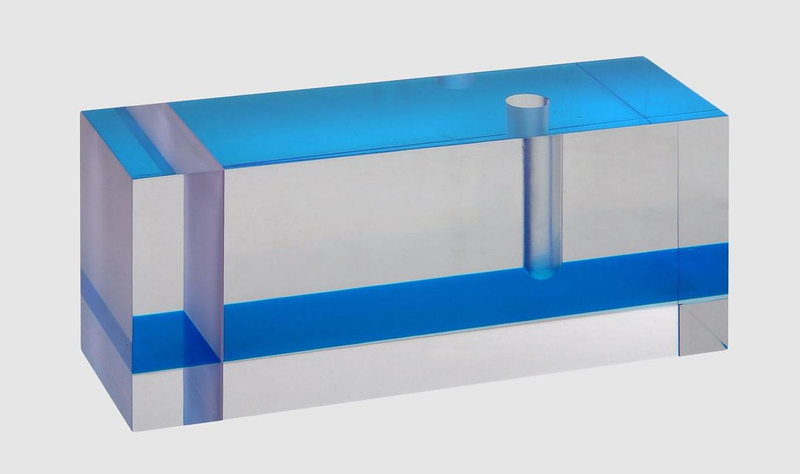 The concept behind the design is the fluid relationship between the discrete presence of color and the transparency of the material. 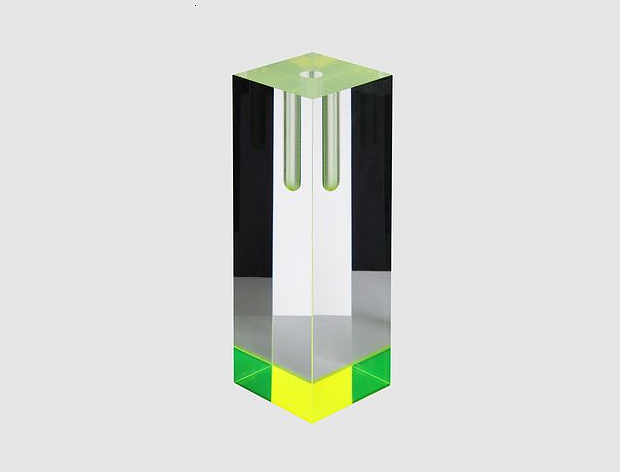 As the colored stripes are located at the vertical and the horizontal axis, depending on the lighting and the viewing angle, the color may appear as a isolated slice, or it may even color the entire vase. The Progetto Oggetto vase collection charms with its distinctive simplicity and entails a strong dose of contemporary art. At the same time, the flirtation of color and light is refracted through the transparent acrylic and adds the final touch. They are available in three versions featuring three different colors.